We could also say that you cannot not be in flow. It’s realistically and practically an impossibility. When you look and listen closely at the physical or even cellular level, you’ll become aware that everything in your body is constantly moving, renewing, changing. No matter if you’re aware of it or not, you’re breathing (at least enought go keep going). Your lungs are expanding and reducing their volume continuously to provide you with energy. Your posture changes in small ways even when you try to sit still. Everything in life is a process. Nothing is ever static. So, how come we feel stuck? It is likely that when you feel out of tune or stuck your mind or your emotions have taken over and there’s a disconnect at some level with your physical experience of life. I believe flow is a state of alignment of your mental, emotional and physical awareness. So, in those moments when you feel stuck. lost or overwhelmed, you can check in with yourself on those three levels to get back into flow. paying attention to your thoughts, your mood or emotional state and your physical experience. Expand with it. Even when it feels uncomfortable. Agree to your experience. There is a deeply rooted believe in many people that change is hard. In truth, change happens when you agree to your experience in the moment. The fact that you don’t want to feel something or you’re holding on to something old or an expectation of the future is what gets you stuck. Letting go is synonymous with agreeing to what is. (And this doesn’t mean giving up.) That’s the magic of transformation. It requires attention and intention. Those are innate qualities you can strengthen and use with purpose. Flow is a natural consequence. Flow happens when you agree to what is. Flow happens when you give up resistance. 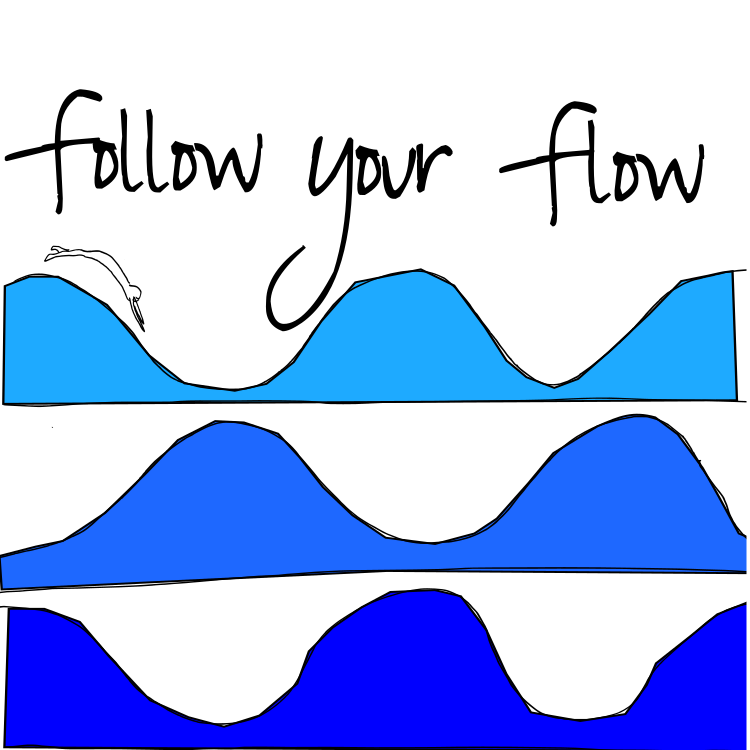 Flow happens when you stop imposing your idea of how it should be onto the world. It doesn’t have to be hard work to get back to a state of flow and ease. Maybe just remembering the fact that flow is always there, like a law of nature, allows you to get back to your own rhythm. Sometimes it’s enough to breathe deeply and pay attention to your body for a few minutes. Following your breathing. Bringing more energy to the body is in any case a good starting point as it brings your awarness back to the now. If this doesn’t work and you’d like to dig deeper, you can write down the three levels of awareness and everything that comes to mind with regard to your thinking, emotions and physical sensations in the moment when you get or feel stuck. This can give you clues which level you’re likely overusing and what is not getting enough attention. And then you can look for strategies to reestablish balance. E.g. if you tend to overthink everything, do something that makes you quiet. 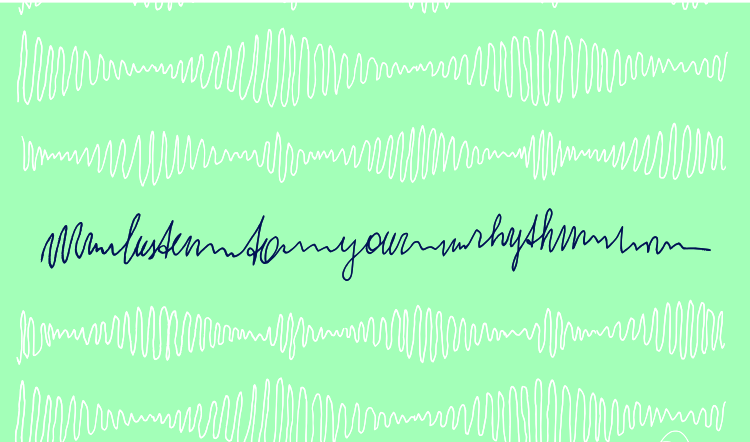 It can be writing all your thoughts down so you empty your mind. It can be learning an exercise that supports silence. It can be going for a walk, if it helps you regain clarity. And whatever you choose to do, do it with intention. It’s half the rent in any practice. Let me know how it’s going for you! And feel free to share your tips on how to get back into flow. If you’d like guidance in this process or learn some of my tools for flow, you can make use of this voucher to get a 60-minute session at a special rate in the month of May.